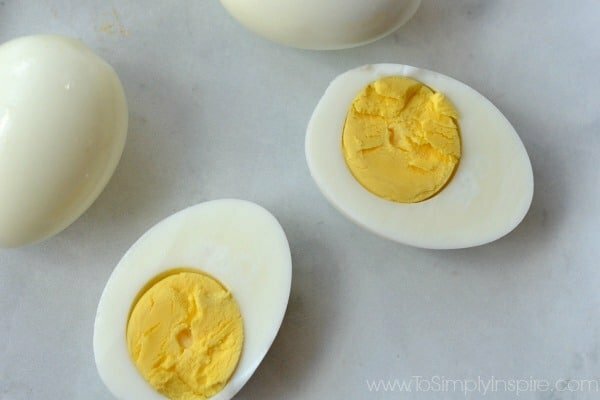 Instant Pot Hard Boiled Eggs are so easy to make and cook the MOST PERFECT eggs every single time. I thought I had already figured out how to cook perfect hard boiled eggs when I learned how to make hard boiled eggs in the oven.. But if you have an instant pot, you will be blown away at how fabulous it makes hard boiled eggs. Using the instant pot to make hard boiled eggs takes a lot pressure off of you. You no longer have to worry if they will turn out more soft boiled (which was always my problem) or over cooked with the green layer around the yolk. It’s a simple formula of 5 minutes cooking time, 5 minutes natural release time then 5 minutes in a bowl of ice. I used large eggs. If you use medium eggs, reduce the cooking time by 1 minute. If you use extra large eggs, increase the cooking time by 1 minute. You can cook as few as one egg or a dozen eggs. I personally have never stacked the eggs. I know you can but you may get more cracks. 2. Pour 1 cup of water into the bottom of the pressure cooker. 3. Place eggs carefully on top of the rack. 4. Seal the top on tightly and turn top knob to seal the cooker to high pressure. 6. After cooking , set a timer for 5 minutes and let the pressure release naturally. 7. Then quick release the remaining pressure by placing a towel over the top knob and turning it. 9. After 5 minutes, you can easily peel the eggs. 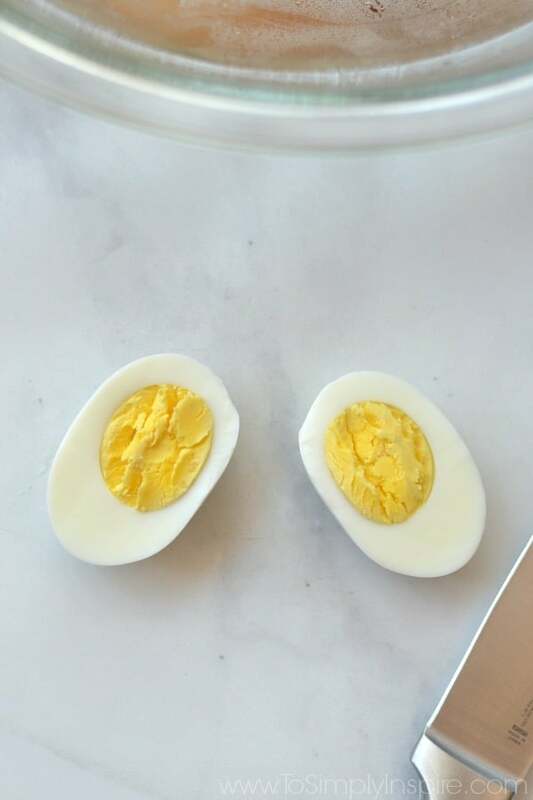 Instant Pot Hard Boiled Eggs peel SO much easier too! After the eggs have cooled in the ice bath, crack them by tapping and rolling lightly on the counter top. Gently pull away the skin. Absolutely no skin came off my eggs and that rarely happens! It’s best to peel eggs before storing them in the refrigerator. 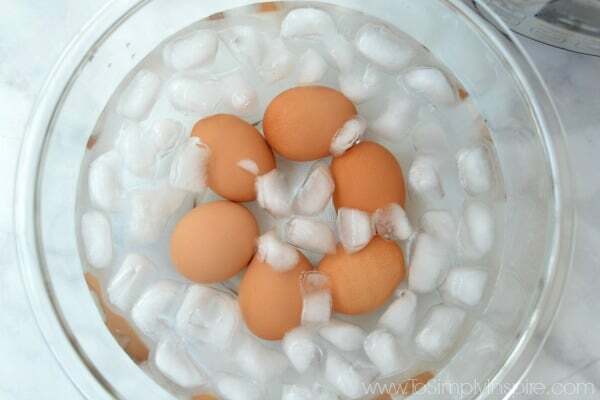 Once they are peeled, place the eggs in an air tight container for up to 7 days. 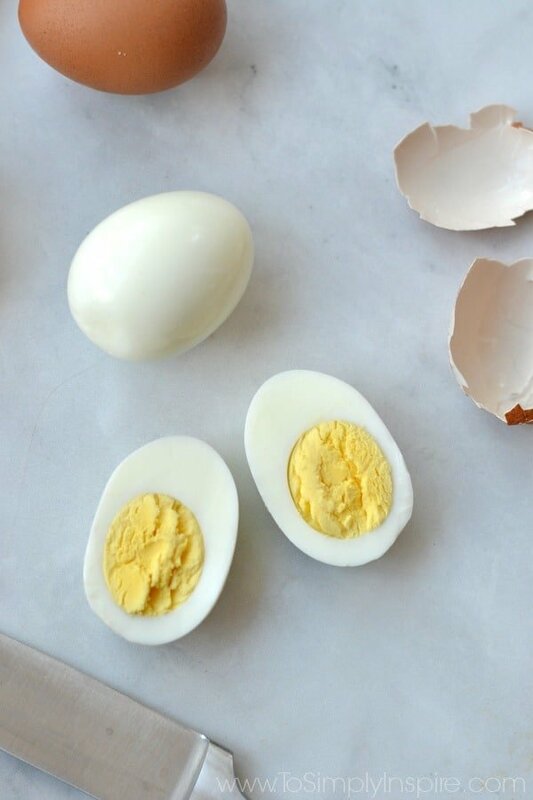 Whole hard boiled eggs do not typically freeze well. Keep them on hand for a quick protein snack on-the-go. Make deviled eggs. You must try these Avocado Deviled Eggs for a new version. Use them in salads. This Asparagus Bacon and Egg Salad is so delicious. Make egg salad. You can make a healthier version with avocado instead of mayo. 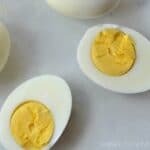 Instant Pot Hard Boiled Eggsare so easy to make and cook the MOST PERFECT eggs every single time. Pour 1 cup of water into the bottom of the pressure cooker. Place eggs carefully on top of the rack. Seal the top on tightly and turn top knob to seal the cooker to high pressure. After cooking , set a timer for 5 minutes and let the pressure release naturally. Then quick release the remaining pressure by placing a towel over the top knob and turning it. After 5 minutes, you can easily peel the eggs. 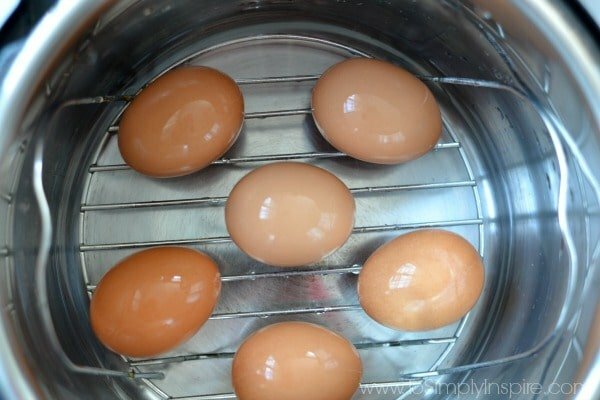 For soft boiled eggs reduce cook time by 2 minutes on all sizes. YESSSS No more liquidy yolk and non solid boil egg. THANK YOU FOR THIS!! !